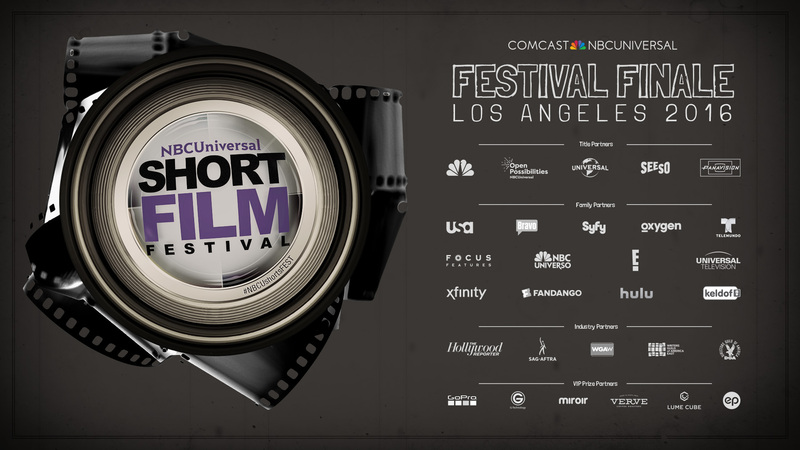 UNIVERSAL CITY, CA :: The 11th Annual NBCUniversal Short Film Festival — an annual initiative created as a launching pad for the next generation of diverse storytellers — recently honored this year's eight finalist filmmakers at the Directors Guild of America in Hollywood. Comedian-actor Lil Rel Howery (The Carmichael Show, Last Comic Standing) began the evening with a screening of the finalist films in front of an audience of 600 industry professionals from top executives to agents, managers, and producers. Xfinity Best Drama + Best Director: Day One — Writer/director Henry Hughes, who was also nominated for an Academy Award® for the short film, received a $10,000 cash grant from Xfinity, as well as a development meeting with Universal Pictures; a post production services package from NBCU Studio Operations including lighting, grip, sound mixing, costumes and backlot access; and a $60,000 rental camera package from the Panavision New Filmmaker Program to be used toward his next project. Seeso Best Comedy: Things I Hate: Lady Grooming — Writer Molly Anne Coogan and director Liam Edward Brady won a $10,000 cash grant from Seeso, the ad-free streaming comedy channel from NBCUniversal’s Digital Enterprises, and NBCUniversal Talent Infusion Programs (NBCU TIPS), the company’s diversity and inclusion programs dedicated to discovering and nurturing on screen and behind-the-camera talent. Best Writer: Daniel Solé (You Can Go) received a $5,000 cash grant, two tickets to the upcoming Writers Guild Awards (East coast ceremony) as well as a writer’s software suite. Best Actor: Lynn Chen (Parachute Girls) received a NBC talent holding deal, an announcement with headshot in The Hollywood Reporter, and tickets to the premiere of to an Universal Pictures’ musical Sing. NBCU Open Possibilities Social Impact Award (for the film that best represents an important social issue to inspire change): Vámanos — Director Marvin Bryan Lemus and writers Moira Morel and Erick Castrillon received a $5,000 cash grant to advance their careers. Audience Award (Voted on live by the audience at the festival finale): Day One — The night's big winner was also awarded $1,000 toward purchases on Amazon and an 8TB G-RAID hard drive with Thunderbolt. 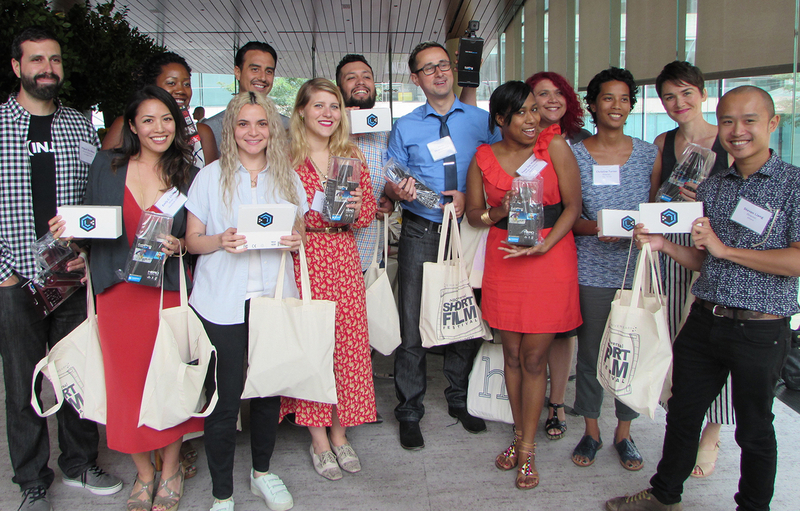 In addition, all semi-finalists received complimentary airfare and hotel accommodations for the NYC semi-finals, which included a SAG-Aftra Kickoff Reception, a WGAE-sponsored roundtable, a Filmmaker Luncheon sponsored by Universal Pictures, as well as filmmaker kits from GoPro (pictured bottom left). All finalists then also received complimentary airfare and hotel accommodations for the week leading up to the Los Angeles festival finale, which included a WGAW-sponsored Breakfast and Library Tour, a Panavision Luncheon and Equipment Tour, a VIP Universal Lot Tour, Complimentary Branding Workshops with Keldof's Kevin Seldon, as well as an array of prizes from the opportunity to stream their film on the NBCU Festival Hulu Channel, to a Miroir mini HD projector, premiere software editions of both Movie Magic Budgeting and Scheduling, a GTech 1TB hard drive, and an annual subscription to THR.com. 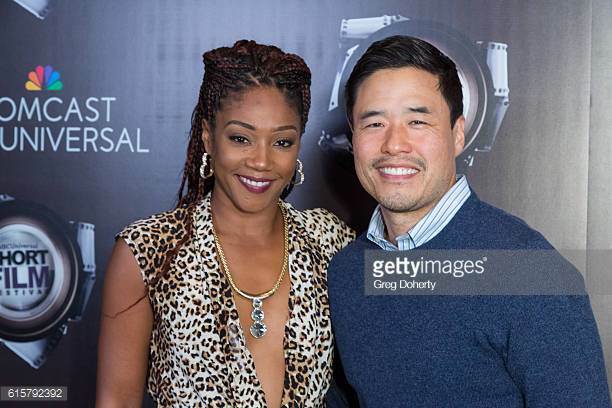 This year's Festival also recognized the winners of Interpretations, the short film contest from Asian-American entertainment organization YOMYOMF (You Offend Me You Offend My Family) founded by director Justin Lin (Fast & Furious 6, Star Trek Beyond). Directors Andrew Pang, Lawrence Chen and Julia Chiang won the Interpretations 2.0 Award and will have an opportunity to direct a YOMYOMF-produced project for one of the Comcast-NBCUniversal platforms under the mentorship of Justin Lin and other industry professionals. The Festival awards were decided by a judging panel that included Jennifer Salke (President, NBC Entertainment), Justin Lin, producer Will Packer (Straight Outta Compton), writer-producer Tracey Wigfield (The Mindy Project, creator and showrunner of NBC’s Great News), Marlon Wayans (NBC’s Marlon), Masi Oka (Heroes, Hawaii Five-0) and writer-director Malcolm D. Lee (The Best Man), as well as festival alumni Randall Park and Hasan Minhaj (The Daily Show). This year's festival was presented by Comcast NBCUniversal with title partners: NBC Entertainment, Universal Pictures, NBCU Open Possibilities and Seeso. Additional festival partners included Oxygen, Xfinity, USA Network, Bravo, Syfy, Focus Features, Fandango, E! Entertainment, Telemundo, Universal TV, and Hulu, as well as GoPro, G-Technology, Entertainment Partners, SAG-AFTRA, Writers Guild of America – East, Writers Guild of America – West, The Hollywood Reporter, Panavision and Keldof. < Next | Previous >> Copyright © 2018 Keldof. All Rights Reserved.